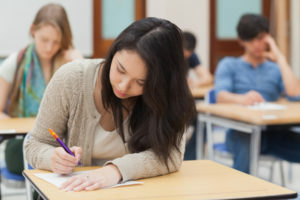 The IGCSE Chinese Test Preparation Course is designed for students who are going to take the Cambridge IGCSE Chinese and Edexcel GCSE Chinese Tests. A pre-course assessment will be made to identify the areas that the student needs to improve urgently. By working with the student our instructor will customize our course contents to meet the specific needs of the student. The ultimate goal of this test preparation course is to help students to achieve the best scores in their IGCSE Chinese test.